Is it realistic to anticipate the eventual discovery of a complete manuscript of The Epic of Gilgamesh? Iclal Vanwesenbeeck discusses that and the most recent new discoveries with Gilgamesh translator and Assyriologist Benjamin Foster. Iclal: Please tell us about your journey with The Epic of Gilgamesh. How did you decide to translate the tablets? Benjamin: Every Assyriologist reads the Gilgamesh epic at some point in his career, just as every Classicist reads Homer and Virgil. Many Assyriologists of my generation or previous ones felt that they could translate it better than had been done before. 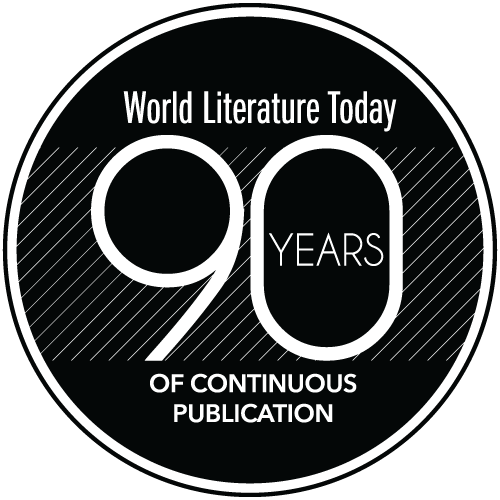 One reason for this is the rapid advance in understanding of the Babylonian language, whereas Classical Greek and Latin are more a question of trying to achieve the awe-inspiring mastery that great scholars of older generations could claim and translating the Classics can become putting old wine in new bottles. Another reason is the constant discovery of new pieces of Mesopotamian texts. We Assyriologists have a serene feeling of expectancy that scholars of other ancient dead literatures cannot realistically allow themselves: more ancient manuscripts will surface of our favorite compositions, as well as of works we didn’t even know existed. Therefore translations of Babylonian literature need constant updating, expansion, and refinement. My own version has a somewhat checkered history. About 1984, I completed a translation of what was then known of the epic and thought, with the rashness of a young scholar a decade past receiving his doctorate, that I had done a decent job. As the completed manuscript sat gleaming on my desk and I was thinking where to submit it, I received a letter from an American academic publisher asking me to serve as press reader for a new translation of the epic that had just been submitted to them, by a former classmate of mine in graduate school, as it turned out. I thus found myself facing a moral quandary: should I find fault with this version and promote my own? In fact, the submitted translation was definitely publishable, so I swallowed hard and wrote the favorable review it deserved, plus various constructive suggestions for improving it. When they sent me the nicely produced book that resulted, I could only look sadly at my little tumulus of superseded effort. I believe the triumphant rival sold many copies and went through at least two editions. Iclal: Recently, a new tablet was discovered in Iraq (saved from the smugglers). You noted in your Fredonia keynote that a new beginning to the story has also been discovered. Have these lines been translated into English? How do these new discoveries change the story? For instance, in the nineteenth century, the flood story was a turning point for the rebirth of this epic. He it was who looked on sacred places everywhere. He kept the young men of Uruk fearful in . . .
His hair was dark as purple wool. A triple cubit the beard of his cheek . . . These new lines do not change the story or our overall assessment of the poem but they do bring our vision of Gilgamesh himself into sharper focus. Another surprise has been a description of the marvelous Cedar Forest in Tablet V, part of a tablet containing nearly 140 lines of Tablet V in the Sulaymaniyah Museum and published by al-Rawi and George (2014). It [flowed into a torrent] and ditches carried it away.
. . . answering each other in rhythmic din . . . The forest was abundantly joyous from the [lilt] of the francolin. Mother monkeys kept up their calls, baby monkeys squeaked . . . They resounded all day long in the presence of Humbaba . . . I walled in her compartments, above and below. Then I poured out 3,600 measures of bitumen into her. Five fingers thick of lard I added. I had the kilns loaded . . . equally . . . In another newly found version of Gilgamesh’s dreams of Enkidu, Gilgamesh is mysteriously replaced by the moon-god, Sin, and Enkidu by the god of wisdom, Ea. This is presumably set in Ur, not Uruk (George 2007b). Iclal: Is it realistic, especially given the volatility in the Middle East, to expect a discovery like that of the flood tablet? Or, is it possible that one day we may come across a single complete version of the epic? Benjamin: We can certainly expect more discoveries of Sumerian and Babylonian literature. It seems unlikely to me that a single complete version of the twelve-tablet edition will turn up. Modern looters, with their backhoes and ruthless haste, destroy far more than they save. Ancient libraries and collections often had incomplete versions of major works. Iclal: Your translation brings together various existing versions of the epic and marks the gaps and missing parts in the tablets. 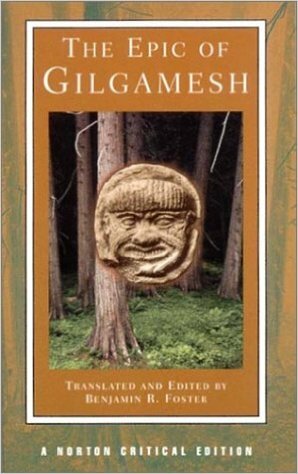 What, in your view, distinguishes your translation of The Epic of Gilgamesh from the various others in libraries today? In your opinion, what are some other masterful translations in English or in other languages? Does the epic translate better into other languages—say, Semitic languages, for instance? Benjamin: My rendering sews together material often centuries apart in time, in what Assyriologists call “Gilgamesch-Harmonie.” This is because my intended audience was a college literature class. Assyriologists think that the interrelationships of manuscripts are very interesting and like to talk about the grimoires of their profession to anyone who will listen, but students want to enjoy a story. The Arabs say that every language is a person, and the reader of many translations of the epic will understand what they mean. Like all translators, I consulted other translations by people who understand the original language to see how they treated the text I was working on. I have no patience with clueless folk who think that they can translate the epic without going to the trouble of mastering Babylonian, though of course they are welcome to retell it. The English translation of Andrew George is by far the most authoritative in any language. Any serious student of the epic should consult it carefully, as well as his massive edition and commentary. He made certain decisions about translating it that he carried through consistently. These give his version a distinctive style on the side of reflecting syntactic characteristics of the original, just as Jerome did when he Hebraized his Latin. I gave greater emphasis to what I considered characteristics of the target language. As for other languages, there are several very fine German translations, a superb French one, and well-respected renderings in Dutch, Italian, Arabic, and Russian. I can’t of course comment on Gilgamesh in languages I cannot read, such as Korean. I don’t think any language has an inherent advantage over another for translating the epic, though there are certainly passages that sound to me better in one language than they do in another. The Arabs say that every language is a person, and the reader of many translations of the epic will understand what they mean. There is no particular reason why a Semitic language would translate Babylonian better than an Indo-European one, save that poetic lines in Semitic languages are more compact, so the lines are shorter and seem denser. French, for example, generally needs more words than English to express the same thought, so a French translation of a Babylonian line will often be longer than an English one, but if French speakers are the audience, why not express it their way? English is very rich in synonyms, so one is tempted to resort to them where Babylonian uses the same word again and again. And so forth. The pleasure and pain of translation is to try to play well on two difficult musical instruments at the same time. The pleasure and pain of translation is to try to play well on two difficult musical instruments at the same time. Iclal: Readers are puzzled and fascinated by the relationship between Gilgamesh and Enkidu in the story. Enkidu is sent by the gods to be a “fitting rival” to Gilgamesh, then quoted as being inferior to Gilgamesh by Shamhat, and at some point in the text, he is referred to as an equal to Gilgamesh, “Let that one be equal / Let them contend with each other, that Uruk may have peace.” What is the word for “equal” in Babylonian and Akkadian, and is Enkidu envisioned as an equal, a friend, or a loyal, self-sacrificing servant? Benjamin: In Sumerian forerunners to the Babylonian epic, Enkidu is merely a servant. It was the genius of the Babylonian poet that promoted him to friend and companion. Creating fitting rivals to overweening characters occurs elsewhere in Babylonian literature, so the poet may have known of the theme as part of his literary heritage. As for Shamhat’s comments, they belong to another well-known Babylonian rhetorical strategy, whereby one praises the enemy so eloquently that one pretends to have second thoughts, so ends by seeking to dissuade the person spoken to from challenging him. The real purpose, of course, is to arouse his battle spirit the more. In the passage quoted, “be equal” means to face someone, to match, to withstand, to rival. The next verb means more specifically to rival and seems stronger, like English “compete.” Since Gilgamesh is a king, Enkidu can never be his true equal, but he is an equal in the sense that Gilgamesh accepts him as his friend ahead of anyone else. Iclal: What is the translation process like for you? Working with such a fragmentary manuscript, what do you see as the ethical responsibilities of the translator? Benjamin: As for the translation process, I just do it, line by line, comparing various other versions in other languages to see what they do. I try to use the same English word for the same Babylonian word each time if I can, but I’m not slavish about that if one English word does not seem to me to fit the range of meaning implied by the original. I tend to translate broadly at first, as if to get my understanding out there, then to correct on the side of being more literal, so there seems less of me and more of the original. I also felt it was very important to read aloud what I had done. That way the lame lines came through with discouraging clarity. Some translators of Babylonian like to mark exactly where signs are lost in the original manuscripts or to indicate when they have added English words for which there are no corresponding Babylonian words. I mark significant breaks, where several words are lost, but generally do not use a convention, such as a question mark or italics, to show whether or not the restoration is certain or only a guess. With respect to setting off added English words with parentheses, Babylonian has no word for “the,” but it would be absurd to mark that in translation. Therefore, I would use parentheses only for explanatory additions, such as whom I think an ambiguous pronoun might refer to. I believe that in translations not intended for the scrutiny of professional colleagues, relentlessly marking minor problems with the manuscripts is largely a useless exercise in the typesetter’s craft. If such matters seem important to a reader, she should learn Babylonian or ask a professional. Benjamin: English vocabulary is much larger than Babylonian. Babylonian, on the other hand, can inflect action words to convey meanings that require several English words to render: “he made her write to me repeatedly” would be one word in Babylonian. Babylonian, like any language, has indeed some great problem words for the translator, though my favorite does not occur in the epic. Yeats might have said that the epic appeals because it is about the two most important human concerns, love and death. For “immortality” you simply say “eternal (or “everlasting”) life.” For “different” the nuance is usually negative, with the force of “strange” or “hostile” or “alien.” If you say something is “different” in Babylonian, you are not normally praising it. An example is the description of the axe Gilgamesh saw in his dream; it was indeed an axe but somehow looked different (and that was disturbing). The Babylonians did not make a noun “difference” in that sense. Iclal: Why do you think the epic has become such a canonical text in world literature courses today, especially in America? Benjamin: Theodore Ziolkowski has written a fascinating book, Gilgamesh Among Us: Modern Encounters with the Ancient Epic (2011),taking up in detail the reception of the epic in modern art and literatures, especially German. Even after a whole book he does not really answer your pressing question. Yeats might have said that the epic appeals because it is about the two most important human concerns, love and death. If that is too reductionist, one could say that Babylonians tended to see themselves in their heroes, so perhaps this is one work of ancient Mesopotamian literature in which the modern reader can see himself as both grand and imperfect, different from other people but ultimately the same. Maybe rather it’s such a great poem that its vitality has survived its own extinct cultural milieu in a way few works of literature can. When you hear people deride “orientalists,” remember that they gave us Gilgamesh again. Benjamin Foster, Laffan Professor of Assyriology and Babylonian Literature and curator of the Yale Babylonian Collection at Yale, translated the AkkadianEpic of Gilgamesh for the Norton Critical Editions series, The Epic of Gilgamesh (2001), and is the author of Akkadian Literature of the Late Period (2007) as well as twenty-five or more studies on various aspects of Akkadian literature. Al-Rawi, F. N. H., & A. R. George. 2014. “Back to the Cedar Forest: The Beginning and End of Tablet V of the Standard Babylonian Epic of Gilgamesh.” Journal of Cuneiform Studies 66: 69–90 (2014). George, Andrew. 2007a. 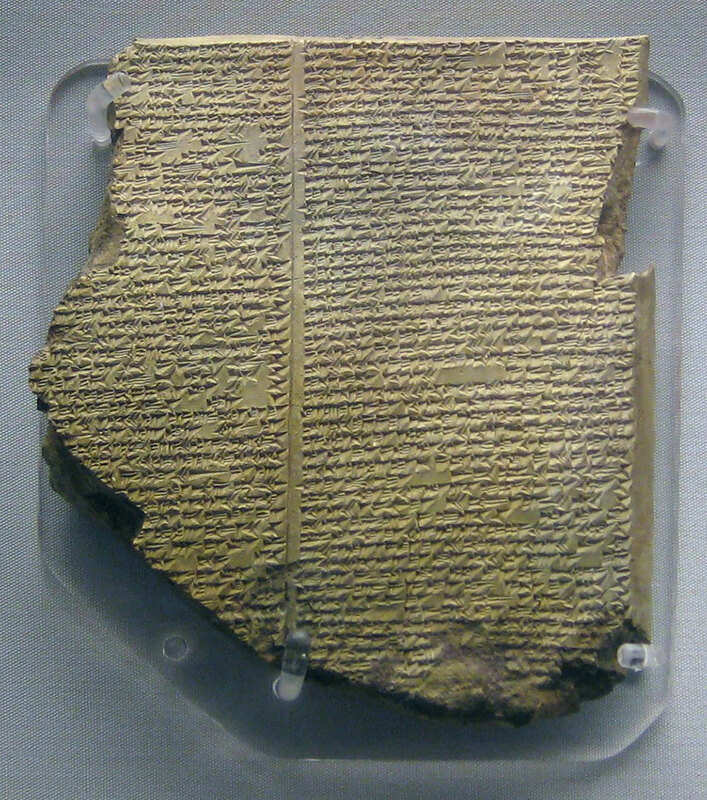 “The Gilgamesh Epic at Ugarit.” Aula Orientalis 25: 237–54. ———. 2007b. “The Civilising of Ea-Enkidu: An Unusual Tablet of the Babylonian Gilgameš Epic.” Revue d’Assyriologie 101: 59–80. Iclal Vanwesenbeeck is an associate professor of literature at SUNY Fredonia and a translator. 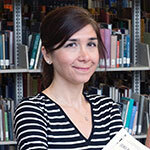 Her most recent translations are Robert Greene’s Selimus and 2014 National Book Award winner Phil Klay’s story “Bodies” into Turkish. She teaches summer courses in Iceland and is currently on a Fulbright grant in Albania.